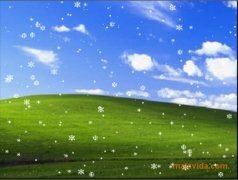 Windows Movie Maker 2 Winter Fun Pack is made up by various effects that bring winter to your video montages. If you use Windows Movie Maker to create your own household videos and include animations and transitions, this pack will bring you new effects to add to them. All the effects are based on the winter period: snow, avalanches, stars,... Thanks to this complement we can have striking visual effects to include in our Christmas videos, and other videos of winter parties and ski trips. The Windows Movie Maker 2 Winter Fun Pack is only installed if we have Windows Movie Maker installed, modifying some libraries to include the winter effects. But, furthermore, it grants access to other complements for the operating system. All of which are based on snow and cold, as its name indicates. And of course, it also includes Christmas melodies and animations that are present and available to be used with any video we have authored. Without a doubt, a good complement to add to the Windows video editor. This download requires to have Windows Movie Maker 2 installed. Only works on Windows XP.